The transit remand warrant was issued based on the papers which were in Marathi language submitted by Maharashtra police, the counsel noted. HYDERABAD: A division bench of the Hyderabad High Court issued notices to Telangana State principal secretary to home, director general of police, station house officer of Chikkadpally police station and SHO of Vishramabagh police station at Pune in Maharashtra, directing them to file detailed counter affidavits to the petition filed by P Varavara Rao, revolutionary writer and activist, challenging the validity of transit remand order and his arrest by the police in August this year. The bench comprising Justice CV Nagarjuna Reddy and Justice T Amarnath Goud was passing this order on Friday in the petition filed by Varavara Rao with a plea to set him at liberty from the alleged illegal custody off Maharashtra police. Petitioner’s counsel D Suresh Kumar urged the court to suspend the arrest and the orders of the Chief Metropolitan Magistrate, Hyderabad in passing the transit remand order on August 28. In fact, the Maharashtra police took the petitioner into custody without following due procedure of law and with the help of Telangana police have conducted searches and seizures in the detenu house. The transit remand warrant was issued based on the papers which were in Marathi language submitted by Maharashtra police, the counsel noted. 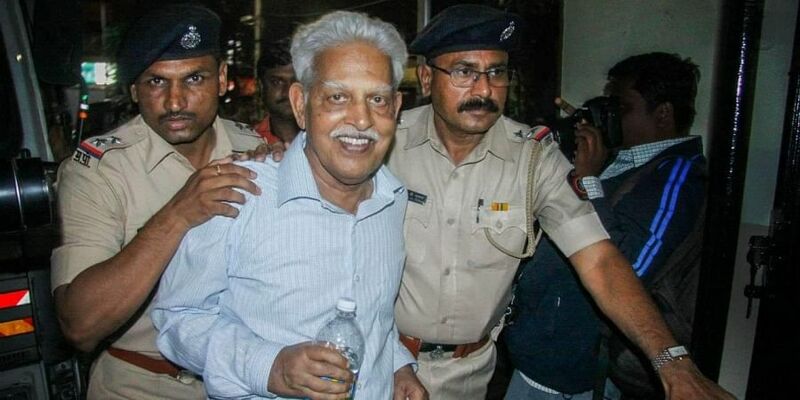 Later, it has come to know that the arrests of Varavara Rao and some others were made in connection with Bhim Koregaom case registered at Vishramabagh police station. As per the Supreme Court direction, all those arrested in the said case were placed under house arrest. Further, the Apex Court granted liberty to the concerned accused to take recourse to appropriate remedy as may be permissible in law. Accordingly, one of the co-accused in the case approached the Delhi High Court and the latter after hearing the case the court ordered for his release. Hence, the petitioner filed the present case, he added. After hearing the case, the bench issued notices to the respondent authorities for filing counter affidavits on the issue and posted the matter to October 25 for further hearing.